P!nk chats and performs; O'Shea Jackson Jr. ("Long Shot"). Home where the "Thriller" singer spent his final days is getting a new owner. 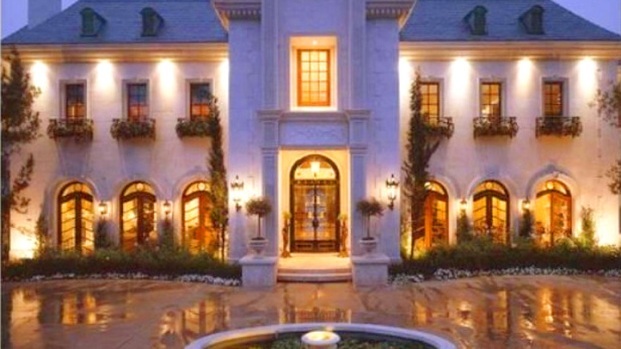 The Beverly Hills residence in which Michael Jackson died has been sold according to reports. Michael Jackson's last home is off the market. The Holmby Hills mansion where the King of Pop died tragically in June 2009 has finally sold for $18.1 million, according to the Wall Street Journal. That figure is well below the $29 million the house's owners, Hubert Guez, head of Ed Hardy apparel, and his wife Roxanne had originally been asking for when they put the estate on the market back in 2010. Mauricio Umansky, the listing agent representing both parties in the transaction (and hubby of "The Real Housewives of Beverly Hills'" Kyle Richards), could not be reached for comment on the sale. Nor was the buyer's identity disclosed. But sources told the paper that the chateu-style property was purchased by Steven Mayer, a senior managing director of private investment firm Cerberus Capital Management. Nestled in the posh Holmby Hills neighborhood of Beverly Hills, the 17,000-square-foot residence sports seven bedrooms, 13 bathrooms, and 12 working fireplaces. The 1.3-acre abode also boasts a wine cellar, theater, tasting room, spa with a gym, guest house, along with a pool and gardens.